...with a Breakfast at Tiffany's Twist!! 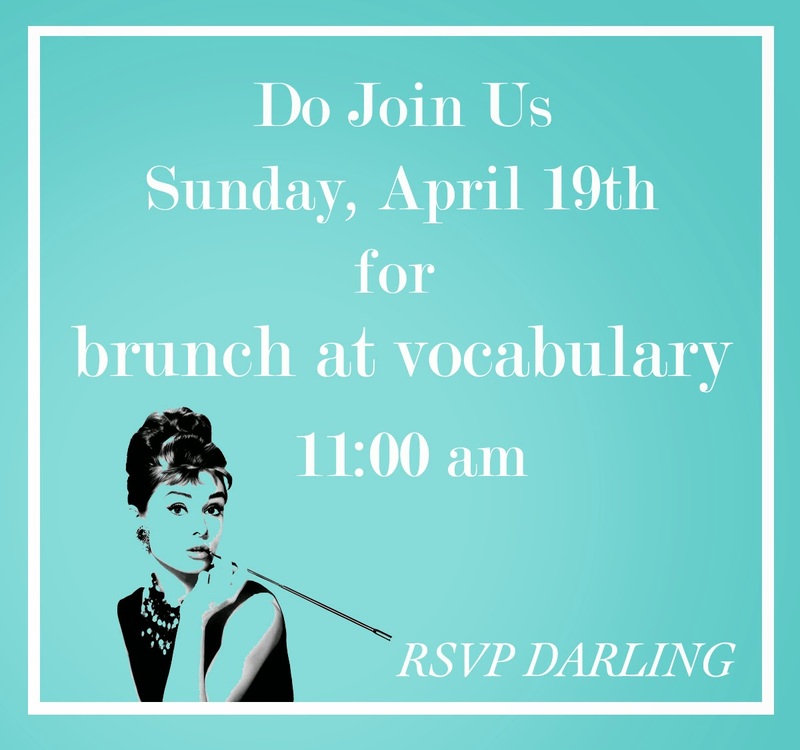 From Cecelia, the owner of Vocabulary "You'll enjoy brunch bites, style advice in spades, brow touch-ups, champagne cocktails and shopping discounts as we toast Audrey Hepburn, a fashion icon with an abundance of smarts, grace, beauty and style. We can't wait! Please RSVP below. xoxo, Cecelia"